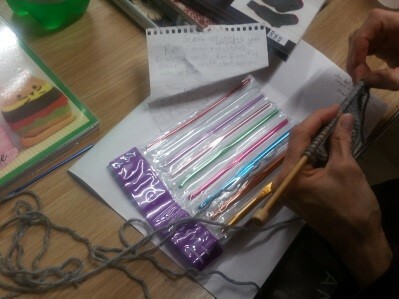 Marylebone Library’s knitting club was set up to introduce adults to the meditative art of knitting and to encourage seasoned knitters to share their skills with others. Knitting can bring about a state of mindfulness that many people find relaxing and beneficial to their mental health, learning a new skill can also build confidence and self-esteem. 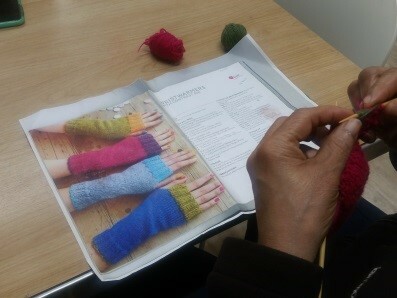 We started an initial run of four weeks which extended to six weeks by popular demand and had a range of people attend with varying levels of knitting knowledge. Complete beginners were offered one-to-one individual guidance to encourage them to work at their own pace whilst others with a moderate level of knowledge were encouraged to expand their repertoire by learning new techniques and stitch patterns. The group soon became familiar with one another which introduced a social aspect to the meetings and encouraged a further level of skill sharing. We hope the meetings were an enjoyable and educational event for all that participated and hope to continue in the new year with blocks of six sessions repeated throughout the year. We’re hoping to include crochet too. Interested in taking part? Keep an eye on our events page, like us on Facebook or follow us on Twitter. Are you ready to sign up to this year’s Summer Reading Challenge, read six books over the holidays AND solve a mystery? If you are, then visit your local Westminster library at the start of the summer holidays to register! All you have to do to take part in Animal Agents, Summer Reading Challenge 2017 is read six library books over the holidays, collecting stickers, rewards and clues along the way. If you read six library books, you’ll receive a certificate and might solve the mystery too. The Summer Reading Challenge is free and children of all ages can take part. Come and enjoy singing, using shakers and dancing with pom-poms for this fun musical session with Tiny Tunes! Boo Hiccup will excite and entertain with magic and puppets in a delightful Animal Agents themed show for young children and their parents. Songs, rhymes and games for the little ones. Come to celebrate our animal friends at the library this summer. Fun songs and action rhymes for pre-school children. Rhymes and songs for little ones. Join in our fun singing session for younger children and their grown-ups. Learn some new songs and enjoy familiar ones at our weekly rhyme time. Songs and stories for babies and toddlers. Can Trevor train Streaker the dog before the end of the holidays, or will he lose his bet with Charlie Smugg? Interactive drama show with actor John Kirk. Family craft workshop with Learning Unlimited. Come and make cat masks, take part in a quiz and make a cat game to take home. Booking required. Call 020 7641 6200 to book. Invent some fantastic creatures and colourful bugs using different craft materials. An animal themed craft activity. Get busy with recycled materials, scissors and glue and build some amazing animals. Come and discover some of the amazing animals from the Wallace Collection, then make a marvellous animal mask to disguise yourself! What will you be? Find out about how to look after cats, then take part in a cat themed craft activity with the charity Cats Protection. Celebrate the Summer Reading Challenge and join us for some fun party games. Songs, rhymes and a story, followed by a simple craft activity. Family craft workshop with Learning Unlimited, including a dino quiz. Find out some fun facts and make a dino board game to take home. Booking required. Call 020 7641 6200 to book. Come and meet some real life animals and find out some cool animal facts with this hands-on workshop from Wild Science! Make a felt animal puppet to take home. Please note adult help may be needed for younger children. Fierce or friendly, what animal mask will you make? 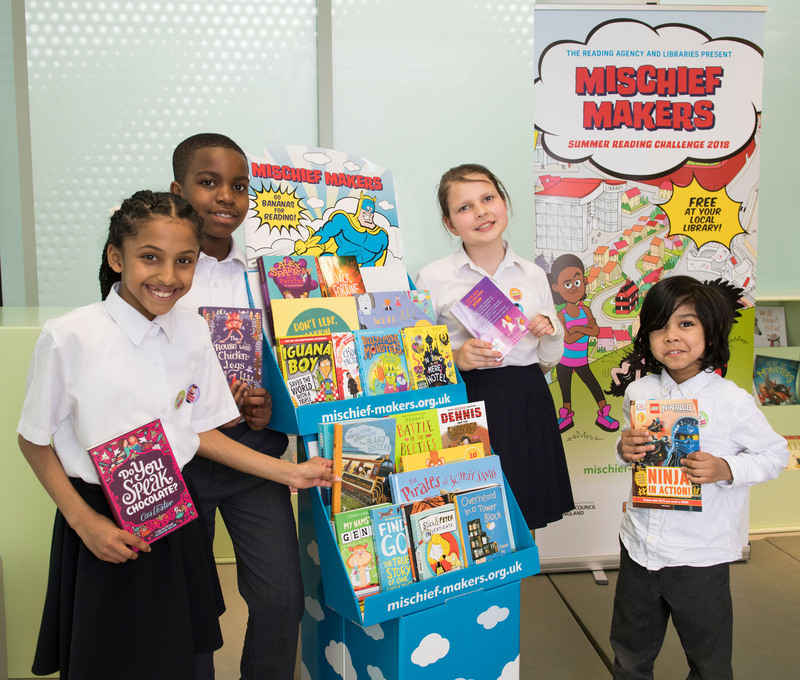 Celebrate this year’s Summer Reading Challenge with games, quizzes, food and fun! Booking essential. Call 020 7641 6200 to book. Come along for songs, rhymes, stories and a cool cat craft. Join us for musical fun, stories, and the making of your very own little ducks. Enjoy animal songs, stories and a fun farmyard craft activity. Come along to make a pretty polar bear and to hear your favourite songs, rhymes and stories. Join us for songs aplenty and a special jungle animal craft. Family craft workshop with Learning Unlimited including a dino quiz. Find out some fun facts and make a dino board game to take home. Booking required. Call 020 7641 6200 to book. Join ZooLab for an animal handling workshop full of mystery and intrigue designed to fire children’s imagination, confidence and love of the written word. Booking required. Call 020 7641 6200 to book. Inspirational craft for kids and grown-ups. Easy and fun sensory art with Georgia Vossou from the Westminster Archives Centre. Be a detective for the afternoon and join us for a fun mystery hunt, based on the book by Mini Grey. Solve the clues to win a prize! Come along and make your own secret storage safe, disguised as a book on your shelf! A time to meet for toy time and animal colouring sheets. Sharing toys and cat themed colouring. Explore and have fun with things that fly. Come and play and colour creatures. Who lives here? Toys and colouring. This event has now been cancelled. Dogs, toys and colours to explore. Celebrate the Animal Agents Summer Reading Challenge by having fun with words courtesy of award-winning children’s poet, author and entertainer, Neal Zetter. Come along and make crafty animals. Inspirational craft for kids and grown-ups. Easy and fun sensory art with Georgia Vossou from the Westminster Archives Centre. Use amazing mice to make your own colourful mouse mats. Please note this event will now take place at Paddington Library. Use your imagination to create amazing animal agents at our paper craft session. Please note this event will now take place at Paddington Library. Family craft workshop with Learning Unlimited. Come and make cat masks, take part in a quiz and make a cat game to take home. Create your own animal inspired comic book. Lego Club with the theme of Animal Agents. Animal fancy dress party with games. Learn some jungle songs and rhymes, and then make a super snake. Come and enjoy singing using shakers and dancing with pom-poms for this fun musical session with Tiny Tunes! Join us for a bear hunt in this interactive story session, followed by your favourite songs and rhymes. Stories and songs from under the sea! Enjoy all kinds of animal songs and rhymes, from elephants to spiders! Simple games, songs and some yummy party snacks. Are you smart enough to be an Animal Agent? Answer our beastly questions, find the hidden clues and win a prize! Find out about how to look after cats then take part in a cat themed craft activity with the charity Cats Protection. What’s your favourite animal? Use collage and colouring to make your animal’s face on a paper plate. Meet beautiful rescue dog Kalecka and find out how to care for canines, plus puzzles and crafts. Perfect if you’re nervous around dogs. Tear, cut and stick paper to make a jungle scene based on Rousseau’s paintings. Join us for our end of summer party with games, fun and food. Design and make your own Animal Agent badge, plus animal themed face painting! Journey outside the library to explore local nature and find out about animals that live around us. This activity involves a short walk. Songs and stories as you walk the jungle path. Have tea with your bear and go on a bear hunt. Let’s see what’s in the sea with stories and songs. Songs and stories about the farm animals. Party with games and fun. Family craft workshop with Learning Unlimited, including a dino quiz, fun facts and make a dino board game to take home. Booking required. Call 020 7641 6200 to book. Join us for an extended rhyme time with animal craft. Join us for an extended rhyme time with a parachute adventure. Join us for an extended rhyme time with spy themed face painting. Join us for an extended rhyme time with a treasure chest to find. Collection, then make a marvellous animal mask to disguise yourself! Have fun with words courtesy of award winning children’s poet, author and entertainer, Neal Zetter. Create the ultimate disguise by making a with a fun mask of your favourite animal. Cow’s head, chicken tummy, rabbit legs? Create your own new animals and take home your own book. This week (Monday 5 to Sunday 11 June 2017), is National Bookstart Week and this year is an extra special celebration as Bookstart is 25 years old! 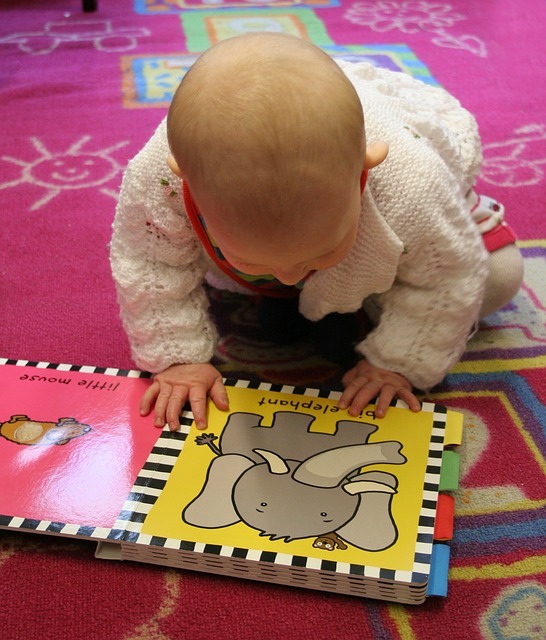 BookTrust, the organisation that administers the Bookstart programme, encourages children and families to read more. Over these 25 years, they have gifted more than 34 million books to children. 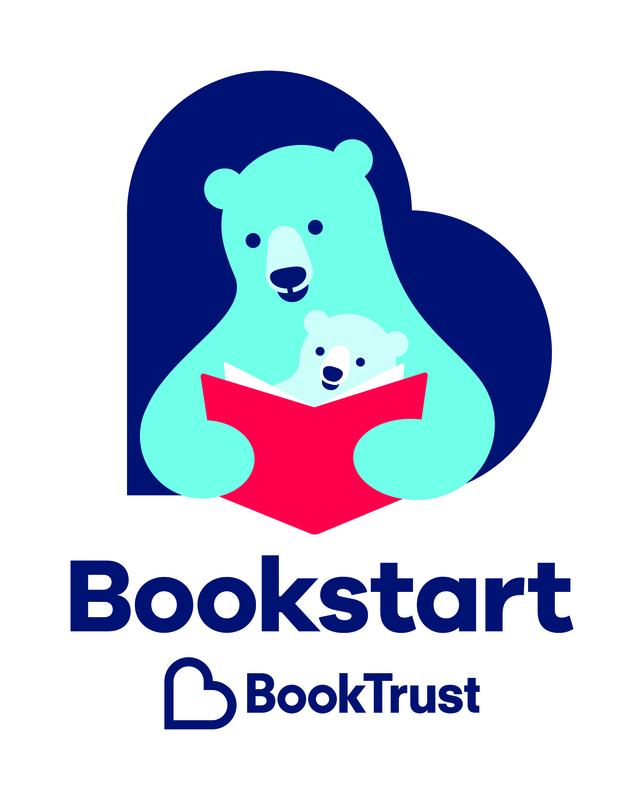 Bookstart currently gives free books and resources to every child in England and Wales, at two key ages before school, to help inspire a love of books and encourage shared reading. This year’s special National Bookstart Week book is Ellie Sandall’s Everybunny Dance and many libraries will be reading this story and special rhymes to do with the great outdoors. We have many copies of this book to give away. They’ll be stories, rhymes and a bunny craft activity. 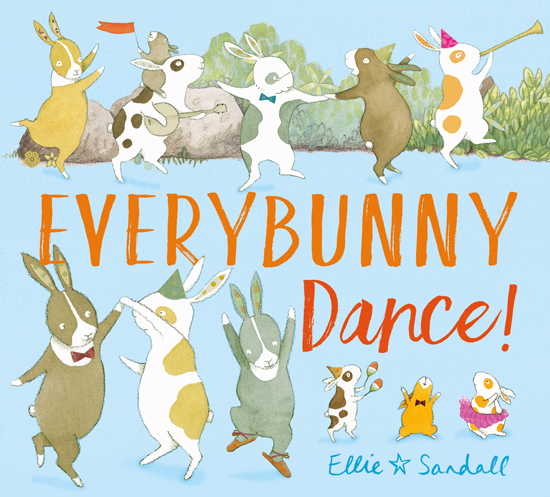 We’ll be singing songs and rhymes and giving out copies of ‘Everybunny Dance!’ by Ellie Sandall on Tuesday. And on Friday we’ll have super storytelling and a beautiful bunny ears craft. Don’t worry if you can’t make these sessions, we also run regular events for the under 5s every week across the borough. It’s never too young to share a story or a rhyme with your young ones so come along have some fun and start or continue your child’s journey to a life of reading for pleasure. 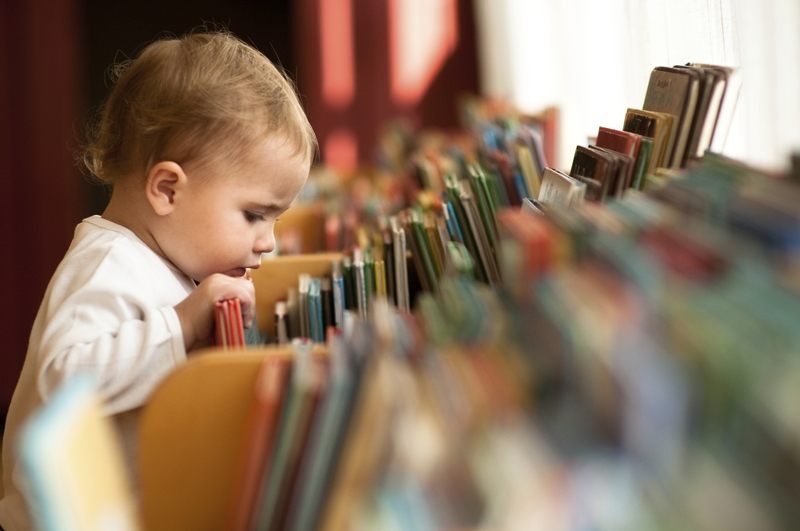 Sharing stories is of huge benefit to children, particularly when done from an early age. and in the long term helps them to be better readers and learners. All this by sharing a book together for a few minutes each day. 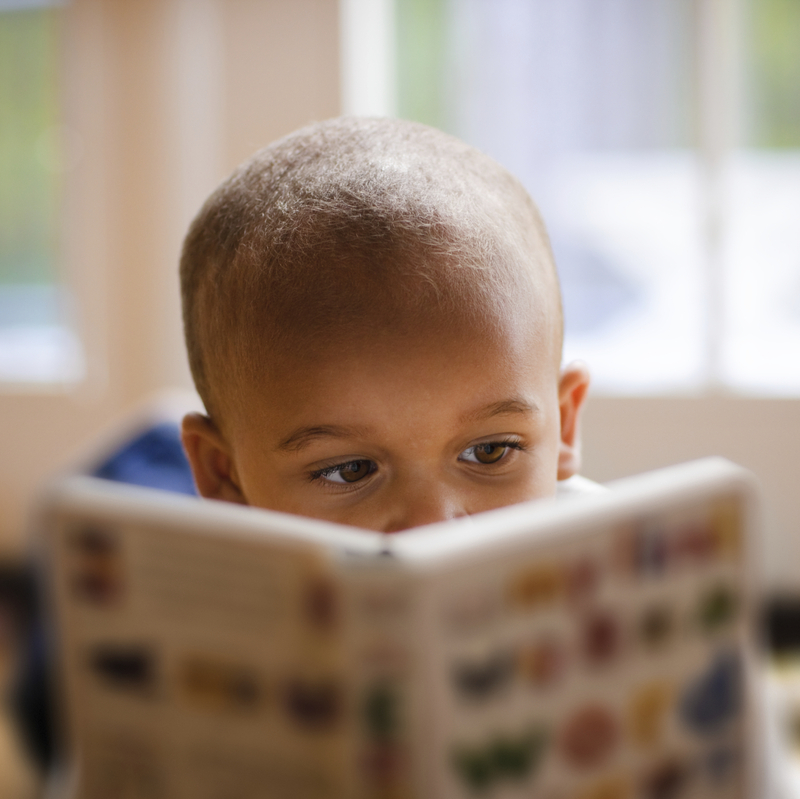 Just 10 minutes spent sharing a story with a child each day can have a lasting impact. You can hear Lauren Laverne read Everybunny Dance on the Bookstart website. Pop in to your local Westminster library on Saturday 6 May for Free Comic Book Day! Free Comic Book Day is an international celebration of all things comics – taking place on the first Saturday in May, it is a day where new titles are released, and comic shops giveaway free issues – we are also taking part, courtesy of the grand folks at Forbidden Planet who are providing the comics. Free Comic Book Day is perfect for both hard-core collector fans and those whose interest has been piqued for the first time. Enthusiasts of the comic book / graphic novel form will tell of the inventive artwork to stun and amaze – the array of characters, from superhero to regular Joe. The different universes on offer and running plot lines that will be hard to forget. Explore all this and more at one of our libraries, please ask staff for your free comic book. We have three titles to give out, while stocks last – head on in before missing out. 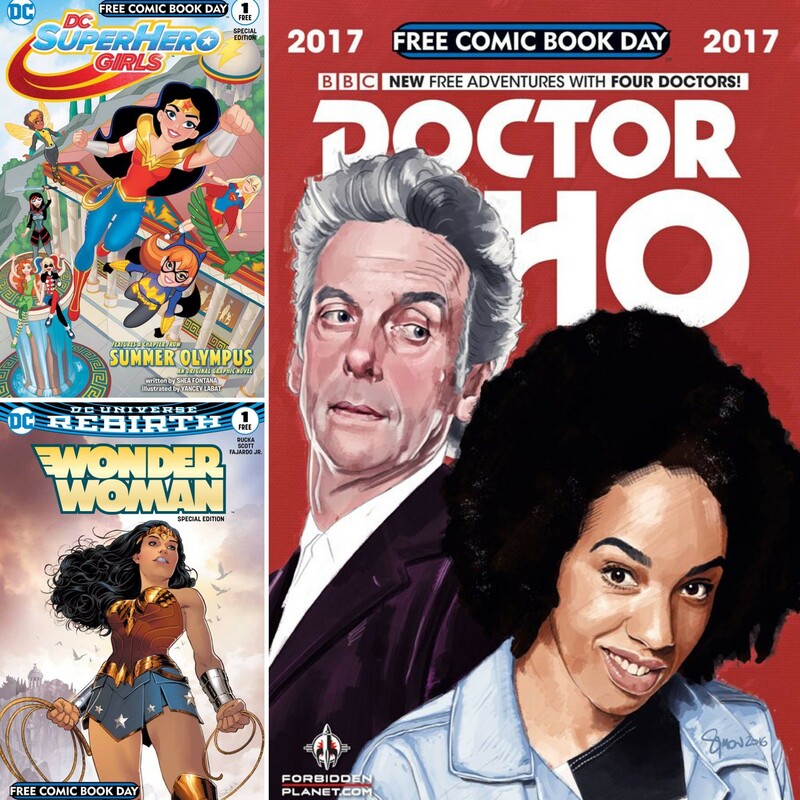 Discover characters including Wonder Woman, DC superhero girls plus look out for the Forbidden Planet exclusive variant of the Doctor Who title too, featuring the Doctor with new assistant, Bill. Why not check out the graphic novel selection or the DVDs available while you are there and see what else your local Westminster library has to offer?